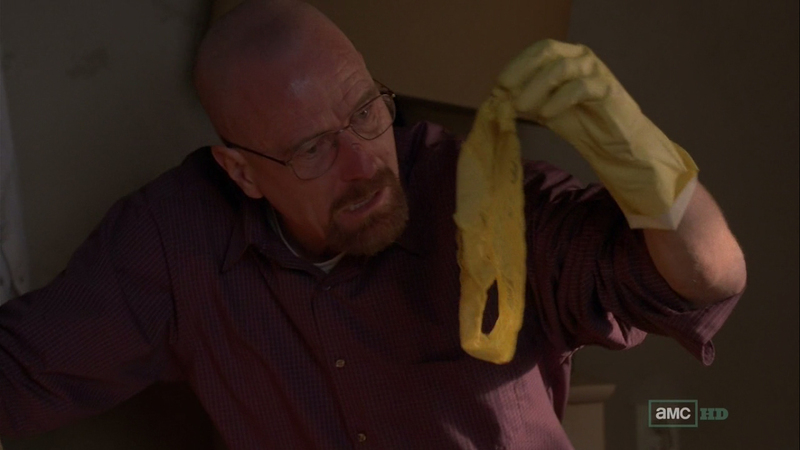 Things are moving quite along for Breaking Bad. 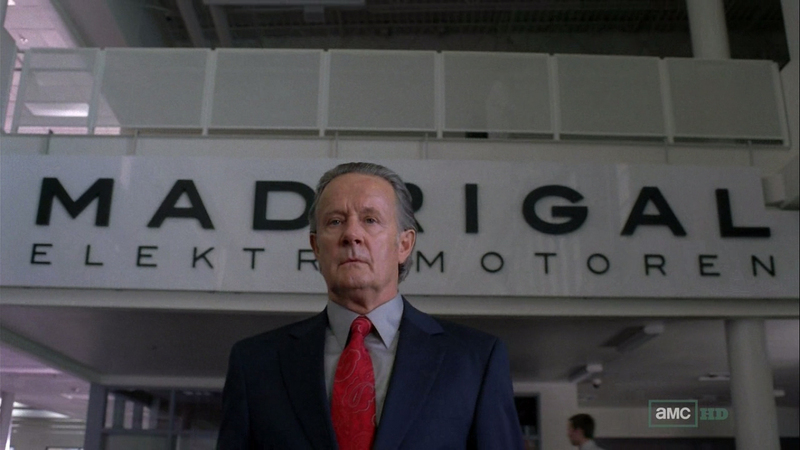 Last season, we were given a look at who Gustavo Fring was and his motivations for things. This background look at a supporting character was spine tingling, haunting, and delicious. It appears that torch has passed onto Mike Ehrmantraut. I’d say about 75% [if not more] belonged to him and I have to admit I loved every minute. 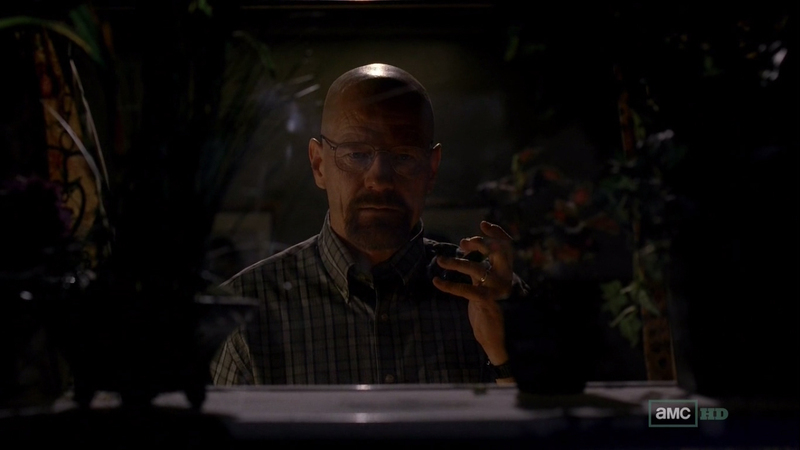 In this episode, we get a glimpse at a little bit of Walt and Jessie as well as a very key scene with Hank realizing something important. Discussion and spoilers below! The episode starts in Germany where the CEO of a company that Gus Fring’s operation was attached to, Madrigal, is taste testing some new products. With his mind clearly in another place, he gets approached by the German police where he escapes to a nearby bathroom. There he commits suicide on the toilet and the credits roll. First off: what a freaking way to open up a show. I was so entranced by this scene and this guy’s delivery as the ‘i’m so screwed that I’m gonna abandon everything in life’ attitude was absolutely gripping. 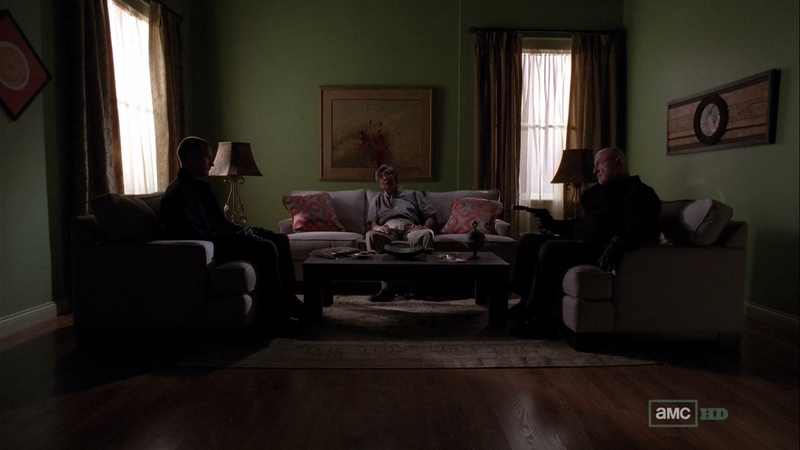 The next scene involves a conversation between Walt, Jessie, and Mike as they discuss their plans to fill in the shoes they blew up. 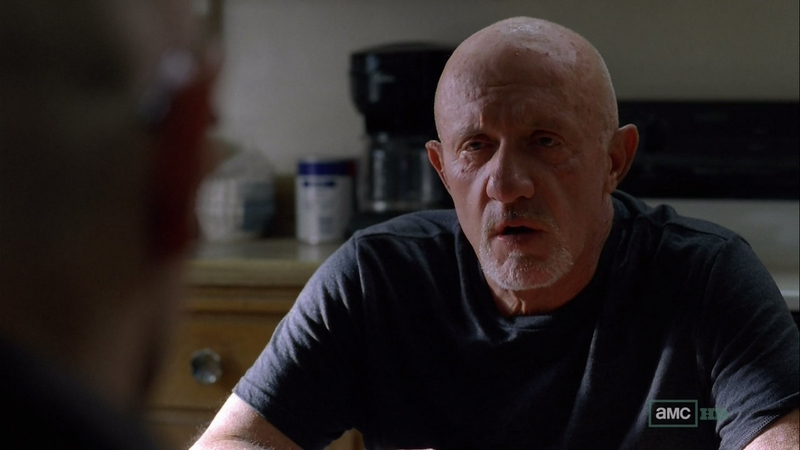 Mike is fairly confident in his decision to avoid being involved with them, especially Walt, listing him as a ticking time bomb. There a noticeable amount of tension as noted in the eye gestures of Jessie between the two power houses. Another great scene involved the adventures of Hank, whom is apparently walking without crutches anymore. One of the more memorable scenes of dialogue in the show happened between Hank and his supervisor. As his supervisor reflects on how he had an enemy right under his nose, Hank reflects on something deep…possibly…nah, no way. The rest of the episode revolves heavily around Mike. It seems he is a very busy man. His first trip involves seeing an old client of his. The woman’s scene was infuriatingly annoying, but I think they used it as a means to show this woman is extremely unstable and erratic. She asks Mike to essentially clean the slate of by ‘killing off’ loose ends. When Mike gets upset with her for asking him to kill his own men, he politely tells her off and leaves to go to his next appointment. Which so happens to be with the police. As he meets with Hank, Mike plays the classic cool guy in an interrogation room, calling all of the police man’s bluffs. It’s during this time, we get a learn a little bit more about Mike himself and who he was in the past. I’m still anxious to see how he lost tenure at his old policing job, but we’ll likely find out that way. After nearly sitting the cops on their asses, Hank pulls out one more ace up his sleeve regarding the money found in his daughter’s bank account. After he hesitantly denies its existence, he pulls away finally with an angry scowl on his face. The man knows no peace, because as he’s playing with his granddaughter, he gets a call from one of his guys talking about how he’s being muscled by the police. Mike slowly but surely makes his way to the guy’s house where he springs a trap. Well he technically springs a trap by placing bait to his own trap. He reveals the trapper to be another guy the woman from before hired. He quickly and remorselessly kills him and then leaves. Only to show up to the woman’s house. He traps her and allows her kid to go up to her room before contemplating killing her. Conflicted and split between allowing her to live or die, he frustratingly gives into asking for her services instead of killing her. And with that, he calls up Walt saying that he’s in. I’d imagine this is a combination of the day’s events: loose ends getting wild, all his money now belonging to the police, and killing parents. Poor Mike has been through a lot. Which leaves us to Walter. He gets the call from Mike and nonchalantly continues working as though it were no big deal. It seems Walt is more and more unphased by emotion that isn’t anger or lust. Nabbing Mike was a big deal especially seeing that it was pretty crucial to his entire operation, but he didn’t even show a lick of emotion. At least until he entered his wife’s bed where he started muttering how much easier it would all get. The look on Skyler’s face is a picture worth a thousand words. She’s horrified about the prison she’s put into by her own husband. But she doesn’t have the voice to tell him. Because what would he do? Overall: Breaking Bad is setting up very well. There aren’t any clear antagonists this time around. Is it Mike? No, I’d rather think he’s pretty submitted to Walt at this point. It can’t be Hank, because he’s the good guy DEA officer. 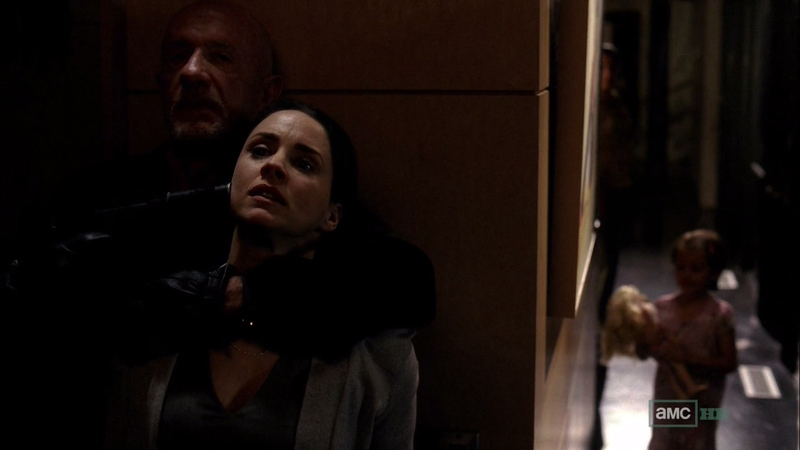 Jessie is actually more of a good guy being manipulated by…oh no. 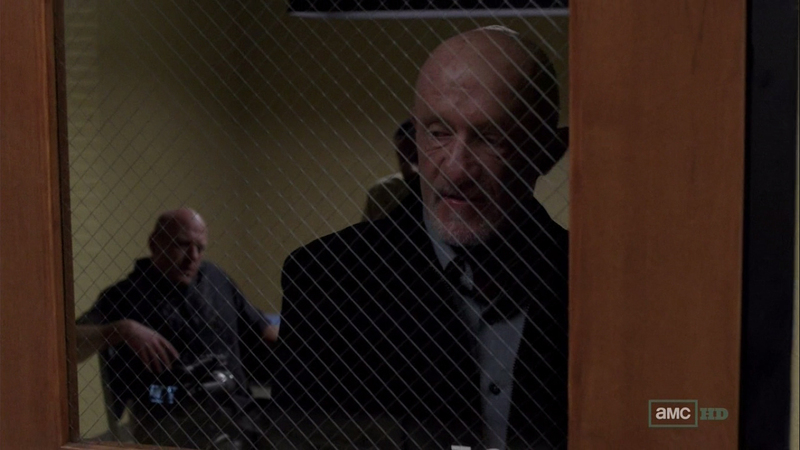 Could it be Walter White as the bad guy of the series. It’s so interesting how difficult it is to choose someone to root for. I can’t wait how they use this to further the episodes. I’ll see you all next week for Hazard Pay.